The pair filled precisely our target at 1.4967 and a brief consolidation below that level is possible, towards 1.4870 and 1.4812 before next leg upwards, to 1.5104. Intraday support comes at 1.4919, followed by 1.4870. 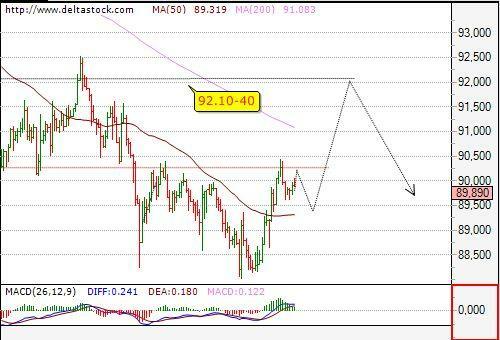 Current intraday bias is neutral, but is expected to transform into bullish with a break above 89.90. 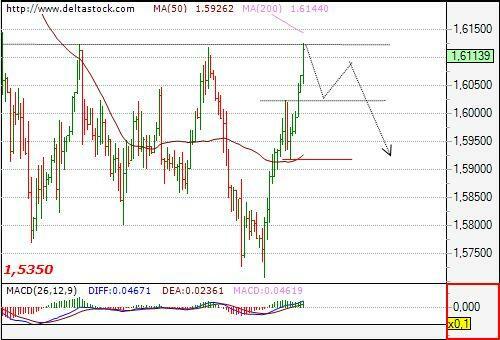 The uptrend from 1.5706 accelerated with the break above 1.6024 and is currently testing 1.6130 resistance area. 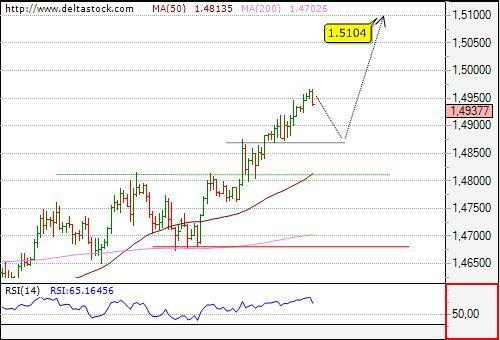 Although there are no signs of a reversal yet, a consolidation towards 1.6024 and 1.5890 can be expected due to the importance of 1.6130 area. Nevertheless, while 1.6090 is intact, the bias will remain extremely positive on all of the time-frames.